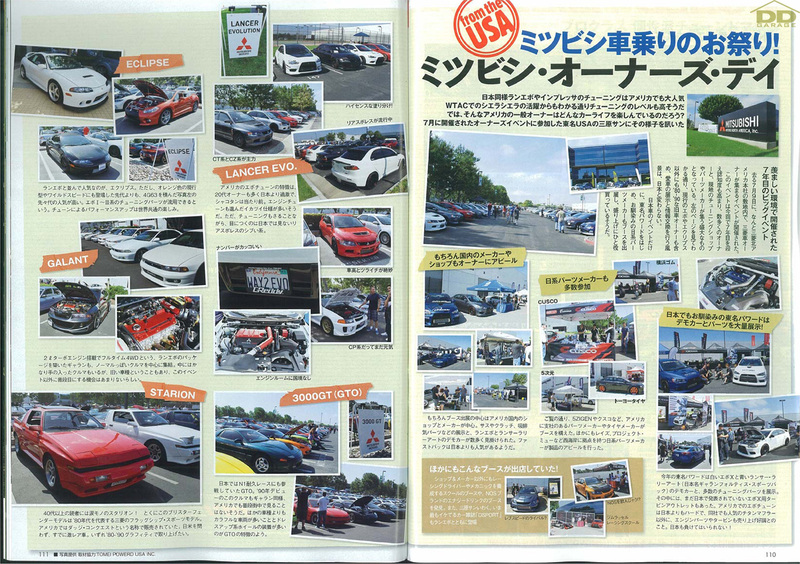 Our Jason MacGill made Rev Speed’s MOD (Mitsubishi Owners Day) coverage with all 3 of his cars: Greddy Eclipse and Tomei Powered Ralliart and Evo. 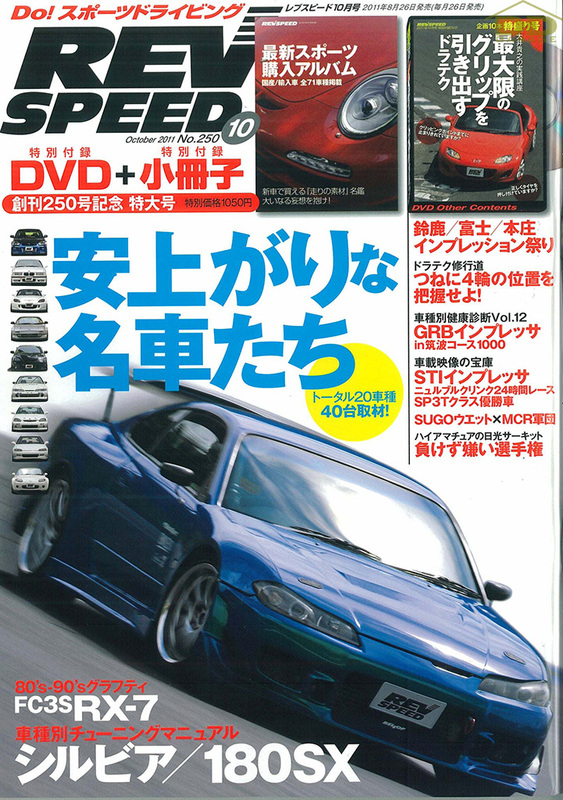 For those who don’t know what Rev Speed is, it’s a pretty well known and popular Japanese monthly car magazine. You can find them at your local Japanese bookstore (Kinokuniya). Very special you to Tomei Powered in organizing this for Jason. This entry was posted in Automotive, JDM on August 30, 2011 by Eric. Wow, this is really THE month for DD Garage and their affilliates. How many mags and cars are you guys going to have coverage on this year? Rumor is Revspeed mag out of business.